Cool backpacks and handy pouches that will keep them organized in style. Books, folders, lunch boxes, laptops. Not to mention bus passes, pencils, calculators, gym clothes and all the other stuff that needs to be lugged back and forth to school each day. Yep, for the new school year your kids are going to need backpacks and handy pouches that will keep everything together in style. Here are five picks to keep them organized. Filson Rugged Twill Bandera Backpack ($175 at filson.com). Tired of replacing your kids’ novelty bags every year? This classic style from Seattle-based Filson is built to last. Featuring one main compartment, a zippered pocket and an interior laptop pocket, it comes with padded, adjustable straps and is made with an abrasion-resistant twill. It comes in black and tan, but we prefer it in a red that’s hard to forget on the bus. Choke Shirt Co. 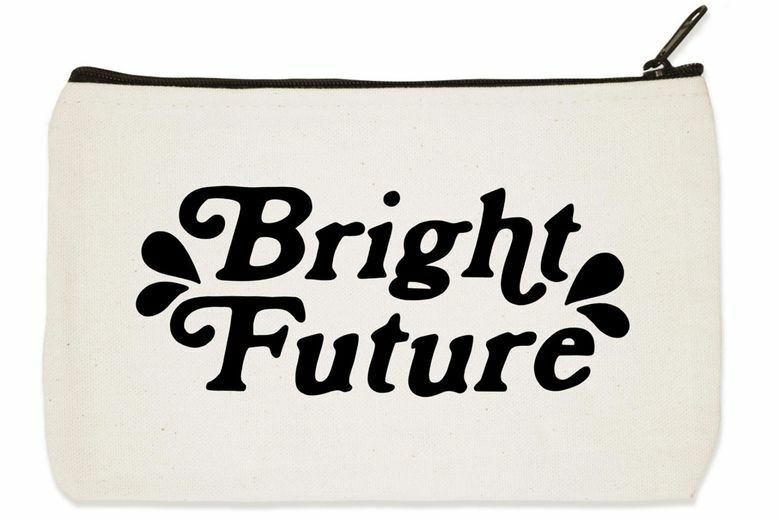 Bright Future Zip Pouch (on sale for $5 at chokeshirtco.com). Perfect for pens and pencils, makeup and any other small, loose stuff, this cute bag is screenprinted by hand in Seattle on 100 percent recycled cotton canvas. And it will remind your daughter there’s a payoff for all her hard work this school year. Kavu Field Trip Backpack ($50 at kavu.com). Providing great gear since 1993, this local company is known for quality backpacks that don’t scrimp on style. 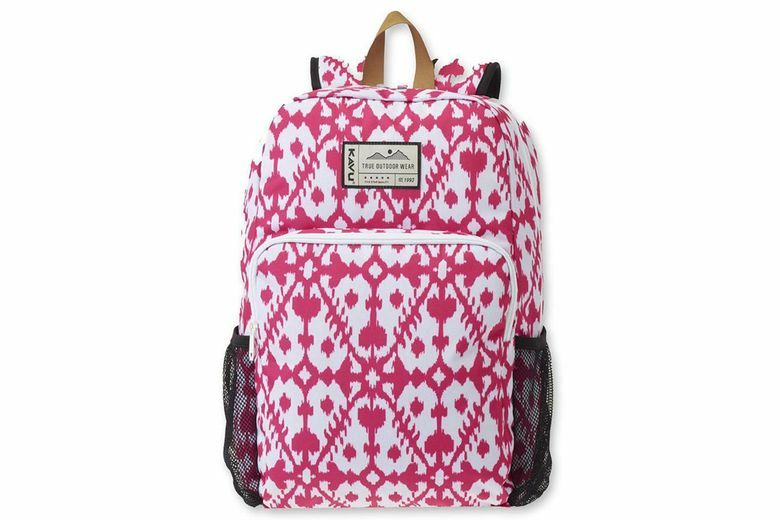 We’re smitten with this pink blot print (and also dig the vented side pockets, adjustable padded straps and handy front-zip pocket). This is not a bag that will be forgotten in the locker with that due-tomorrow homework assignment. 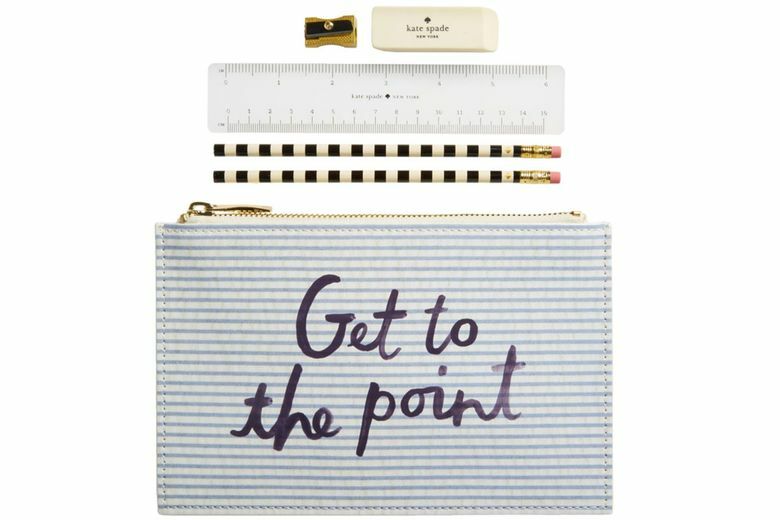 Kate Spade New York Get to the Point Pencil Pouch ($30 at nordstrom.com). Fashion plates in the making will be inspired to be, well, model students, with the help of this adorable seersucker-print zippered pouch that comes with two coordinating pencils, a pencil sharpener, eraser and 6-inch ruler. 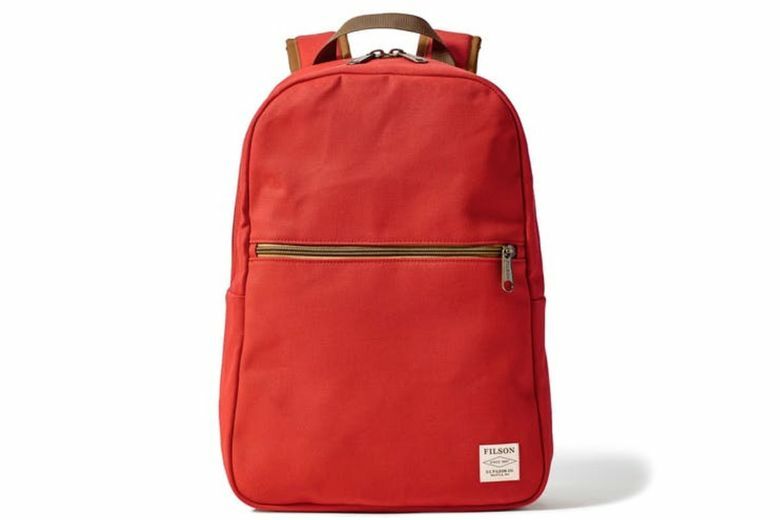 Lands’ End ClassMate TechPack Extra Large Backpack ($65 at landsend.com). 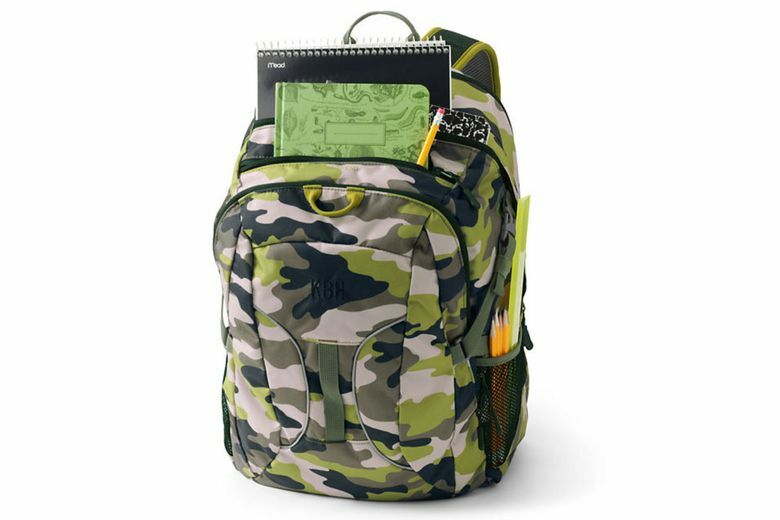 Middle school means a lot more homework, and this kid-friendly pack has plenty of room for all those new textbooks. Extremely durable, with a water-repellent finish, it also has a padded sleeve to protect a laptop or tablet. Want to personalize it? Add a name, initial or monogram or an embroidered design (choose from a basketball, flag, cupcake or nearly 200 other options) for $6 each.